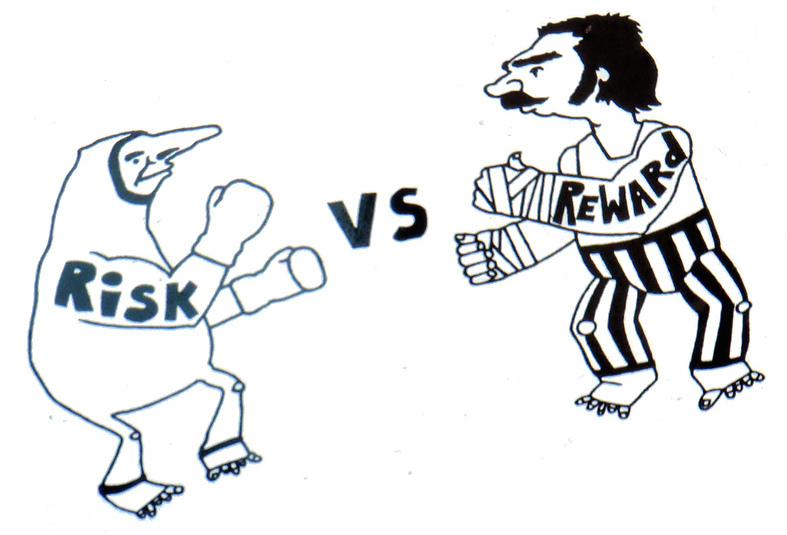 What Is a 3:1 Reward to Risk Ratio? Let’s say a stock is trading at 105p. And we want to enter, in this case buy in at this price. We think that if the stock goes lower than 100p then the trade is not working out and we want to exit the trade taking a small loss to prevent any further losses. This will be our stop loss. We have reason to believe the stock is rising well and decide to take profits if the price goes up to 120p. This is our simple exit strategy for profit taking. If you don’t already know, as a trader you cannot be “right” all the time. You have to take losses some of the time. As a technical trader, before I trade any individual strategy, I like to know a few “characteristics” of the strategy. These are obtained by back testing amongst other things but aren’t 100% accurate. But I can get a good idea of how a strategy will perform in the future. In addition to Reward to Risk ratio I want to know the average Win Rate. So if I was to take 100 trades according to the strategy rules, on average how many would be winners and how many would be losers. We’ll look at 2 different strategies. We will take profits of 3 times the risk using each strategy. Let’s look at the results of taking 100 trades using each strategy and assume that we risk 1% of our account value on each trade. From that simple example above I hope I have been able to show you that when somebody tells you not to trade unless there is potential for that 2:1 or 3:1 reward to risk ratio, you need to know other factors like win rate too. Out of interest, going back to the examples above, if you traded a strategy with an 80% win rate and your profit was only half the risk size so Reward to Risk ratio of 0.5:1, you could still make money! So there you have same basic building blocks required to create a profitable trading strategy. I must stress that in addition to knowing Reward to Risk ratio and Win rate, there are other factors to take into account but that’s for a different article.